<Should I Celebrate National Anthropology Day? 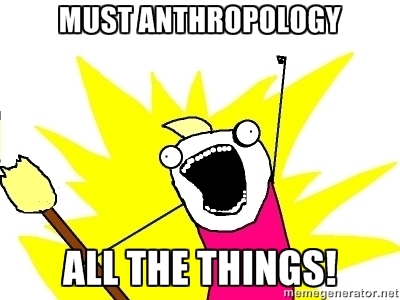 Given that the American Anthropological Association has designated today as National Anthropology Day, it seems apropos to reflect on why anthropology matters and why we should even have a day to celebrate the discipline of anthropology. I spent four years of my undergraduate education immersing myself in the study of culture and almost two years out of school negotiating the professional world, trying to figure out what anthropology means outside of academe. Despite the general misunderstanding and misapprehension of what anthropology means and does, I’ve found the discipline absolutely necessary and indispensable to my jobs, as well as prescient issues in public affairs. I served as a Peace Corps volunteer in Fiji, working in the arena of community health empowerment. Throughout our Pre-Service Training, when we were given cultural, linguistic and technical training, I was continuously thankful for my anthropological preparation for working abroad. Although the Peace Corps functions similarly to ethnographic fieldwork, I couldn’t understand why there wasn’t more of an anthropological dimension threaded throughout our cultural sessions. Despite the fact that Fijians have a strong tradition of homeopathic and herbal medicine, we were never provided with information about traditional medical responses to illness, nor were we trained in how to understand indigenous etiologies of sickness. This oversight was not inconsequential—traditional medicine is an aspect of Fijian life that would have a significant impact on the success or failure of our educational strategies and project design. What does health mean and signify within a Fijian life world? How does religion play a role in health practices and health seeking behaviors? Which public health institutions are vested with trust, and which are underutilized within an ideologically conservative, developing world? How do we adapt Western, biomedical health interventions into a village setting where witches pose viable threats, where spirit possession can still occur, where medicine is free yet people die every day from hypertension and diabetes? These were all questions my anthropological training had primed me to ask, yet most of them remained unaddressed throughout my PC service. When a session on Fijian history was framed around the “positive” and “salvational” aspects of colonialism, myself and another anthropology student jumped in to reframe the discourse, helping our peers, and even our staff, renegotiate the terms “primitive” and “modern.” In moments such as these, my anthropological training prepared me to guide the conversation away from understanding an indigenous culture as “backwards,” into a more nuanced discussion about the confluence between imperialism, capitalism and global nexes of power as they manifest in the conditions of contemporary Fiji. If there’s anything that my Peace Corps service taught me, it’s that anthropology is indispensible to any international development or public health project. Anthropology provides a theoretical and methodological approach to community engagement, intervention strategies and capacity building that practitioners and public officials may not be aware of or recognize, to the detriment of their local partners, and, ultimately, the viability and effectiveness of their programs. Those that are unfamiliar with the study of anthropology may have trouble understanding the practical and applied dimensions of the discipline. Yet if you understand that anthropologists study human culture, you begin to realize that there is very little that anthropology cannot be applied to. While not every practitioner is an applied anthropologist, many anthropologists are driven by an innate desire to learn about a society or culture to facilitate empathy, with humanitarian goals and an eye towards ethics. Anthropologists are a critical group uncomfortable with categories or naturalized assumptions, so while they may not explicitly state that their scholarship has altruistic ends, many anthropologists channel their passions through the needs and desires of their local communities. As I have moved from the Peace Corps to a job in gender-based violence in Washington D.C., anthropology continues to guide my work and infuse the questions I pose of the impact my employment has. In a professional environment where my co-workers have been trained in public health, public policy, epidemiology and population studies, my anthropological training does not seem out of place, but rather a crucial perspective that lends itself to a more holistic understanding of violence and resilience. A hub of humanitarian and political activity, Washington D.C. is awash with conversations about how to make international aid better, how to build the capacity of local populations, how to improve the efficacy of interventions during conflict. All of these meetings, forums and digital conferences coalesce around the importance of a single word: culture. The larger, professional world is coming to understand that without sensitive, complex, and nuanced understanding of culture, no matter where you are in the world, you are missing a very big piece of the puzzle. Indeed, over the past year, numerous public controversies and crises have emerged that would have greatly benefitted from anthropological insight and collaboration, including the Ebola crisis, racialized police brutality, anti-vaccination movements, Boko Haram, and the sexuality spectrum, to name a few. As anthropologists strive to position the discipline within the wider public sphere, students and practitioners of anthropology can continue to emphasize the importance of cultural relativity and reflexivity across a variety of professional modalities and international issues. 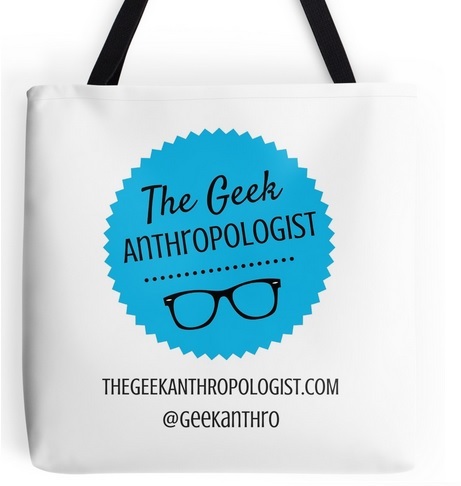 Anthropologists are cunningly, perhaps subversively, invading the work force, adapting culturally salient marketing campaigns and serving as cultural translators within hospitals and health centers. The past year has also seen women’s issues come to the fore—anthropology (why still masculinized in some respects) was built by female renegades like Zora Neale Hurston, Margaret Mead and Ruth Benedict. Every time I watch TV or turn on a new podcast, I am increasingly greeted with anthropological voices or questions of culture, human life and social behaviors only anthropologists can address. We need a National Anthropology Day to demonstrate the role anthropology has yet to play in shaping the public discourse, policy and approaches to international engagement. But perhaps part of the power of a National Anthropology Day is the suggestion that we still need to unpack the cultural consistency of our own country. Maybe part of the reason Americans have struggled so much domestically with a recognition of the worth of citizens, regardless of color or creed, with understandings of masculinity and terrorism, with the distinction between public health and individual liberty, is that we still fail to understand the life worlds we inhabit, and how these may vary from those of our neighbors. 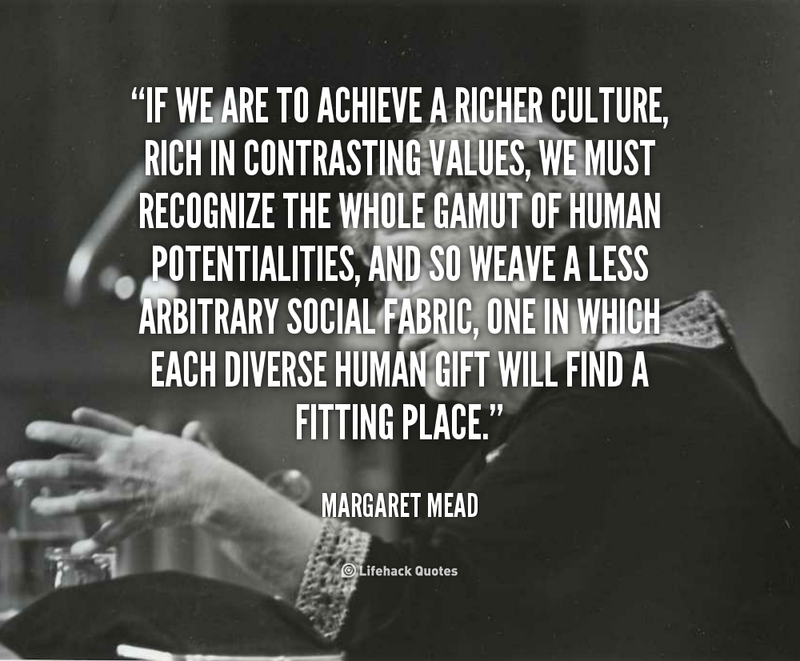 I hope that today is an opportunity to reflect on what it means to belong to a culture, what it means to shape and be shaped by culture, the interstices between cultural overlap and friction, the historical legacies that still conduct our lives in invisible yet powerful ways. What kinds of humans do we want to be today? Why anthropology matters more than ever. Very powerful indeed and I never thought about how important it is to understand the worlds we inhabit everyday. A great cause!